It should go without saying that indoor air quality is important. But until recently, it was difficult to know exactly how much CO2, Volatile Organic Chemicals (VOCs) and dust was in your air - and there was no way easy to automate a response. With the growth of the smart home industry, this position had changed. Now, there are several products capable of monitoring air quality, then with If This, Then That (IFTTT) they can alert you to changes, and even instruct other devices like air purifiers, ventilators and motorized windows to kick into action. Here is the GearBrain guide to monitoring air quality and setting up your smart home to automatically improve the air you breathe. First, you will want to buy an air quality monitor. There are several available today for between $100 and $250. Some have a limited feature set, some are combined into security cameras and baby monitors, and others tap into Alexa and IFTTT to become truly smart. At the lower end of the scale there's the Nokia Home, which curiously combines an air quality monitor with an indoor security camera. 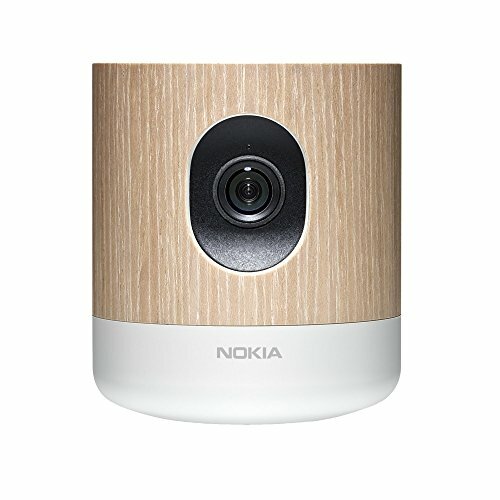 Available from around $120, the Nokia Home is an attractive gadget with a wood effect finish and rotating design which lets you hide the camera when you don't want it watching. Data collected by the Home can be fed into Nokia's Health Mate app, along with data collected by any Nokia scales or fitness trackers you might also own. These were all originally products offered by French tech company Withings, which Nokia acquired in 2016. We think the Nokia Home is best suited for a baby's room, where it can be used to keep an eye on your little one, alert you when they wake up, and keep tabs on the air in their room. You can even put on a light show for your baby, as the base can be made to glow any color. 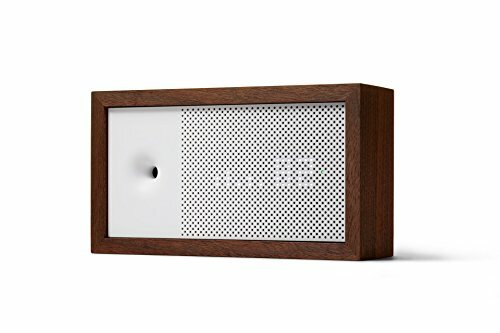 Continuing with the wooden theme, the Awair is a stylish air quality monitor partly built from renewable materials, like North American Walnut timber. The Awair constantly displays a score out of 100 (the higher the better) for the room it's in, plus a breakdown for dust, VOCs, carbon dioxide, humidity and temperature. The accompanying app gives useful information on improving the scores the Awair reports, and you can tell the device which room it is in (bedroom, lounge, kitchen etc) to ensure it is recording correctly and giving you the right advice. Amazon Alexa support means you can ask the assistant for your temperature score. IFTTT compatibility unlocks many more features, like having an air purifier automatically switch on when the Awair detects an increase in VOCs. We explain IFTTT in more detail further down this article. Similar in functionality to the Awair, but with a very different design, the Foobot uses light instead of numbers to give an overview of our air quality. If the light is fully blue then the air is good, while less blue means a decrease in quality, and orange light means something is up. Whenever the lights go orange, the Foobot app alerts you and asks you to mark this event - you might be cooking, or painting, for example. If there is no obvious reason for the quality to have dropped, then this could indicate a problem with your air which needs investigating. 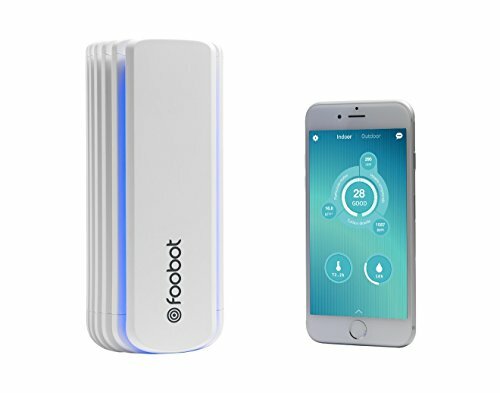 A convenient feature is how two taps of the Foobot makes it send a detailed breakdown of air quality to your smartphone, saving you the need to find the app and open it manually. The Foobot comes with a 49-page ebook about improving indoor air quality. As with the Awair, there is support for Alexa and IFTTT. 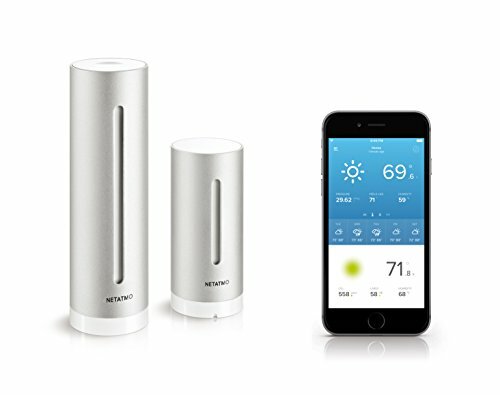 We recently wrote about the Netatmo Weather Station when looking at the best smart devices for your garden. There, it was used to keep an eye on rainfall and outdoor temperatures, but this is a two-part system, and one sensor is designed to stay indoors. In all, the system measure temperature, humidity, air quality, noise levels and barometric pressure. The Netatmo sends alerts to your phone when air quality dips, along with advice on how to make the environment healthier. A with the others, the Netatmo has Alexa and IFTTT support for adding functions. Although more of an emergency device than a monitor, the Nest Protect is an important addition to your smart home. Designed to be fitted to the ceiling like a conventional smoke alarm, the Protect messages your smartphone (whether you are at home or away) when it detects smoke or increased levels of CO2. 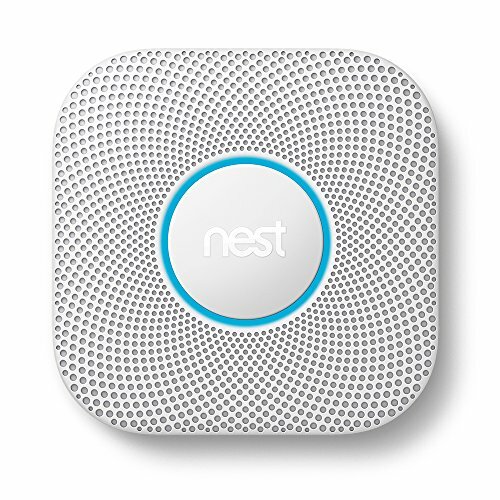 As well beeping like a regular smoke alarm, the Nest Protect speaks out loud to explain what's wrong. False alarms - like when you are cooking - can quickly be silences from the app. IFTTT integration means the Protect can be set to switch your lights on and turn them bright red when smoke is detected, or call you with an automated message if smoke is detected when you aren't home. Knowing the quality of your air is one thing, but now it's time to do something about it, and smart air purifiers are an inexpensive way to help autonomous improve air quality in your home. The $150 GermGuardian four-in-one system is designed to reduce odors, fight germs and provide allergy relief. An included smartphone app shows the quality of your air, and through this you can set the device to automatically switch on when quality falls below a certain level. 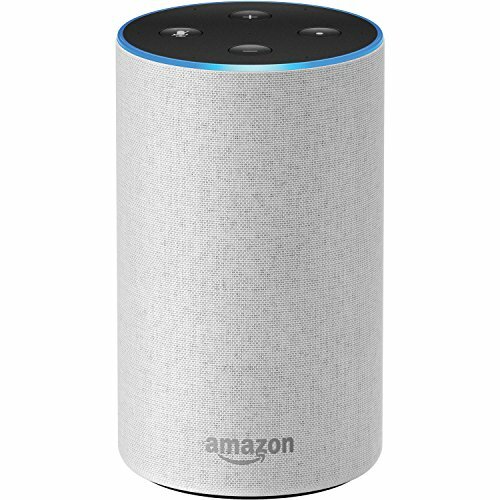 An Alexa skill means you can ask the Amazon assistant to switch the purifier on and off manually, if you prefer. More portable than the GermGuardian, the Wynd is designed to be sat on your desk, or even set up in a hotel room or your office cubicle to help improve the air in your immediate surroundings. The device includes a detachable air quality tracker which sends its findings to the accompanying smartphone app, which lets you check the levels from afar. Although Alexa and Google Assistant integration is missing for now, Wynd says it is working to add these via a future software update. While all of the above products are useful in their own right, tapping into IFTTT and a range of other smart home devices means they can be made to do much more. For example, you could connect your dehumidifier, air purifier, or a simple fan to a smart plug. 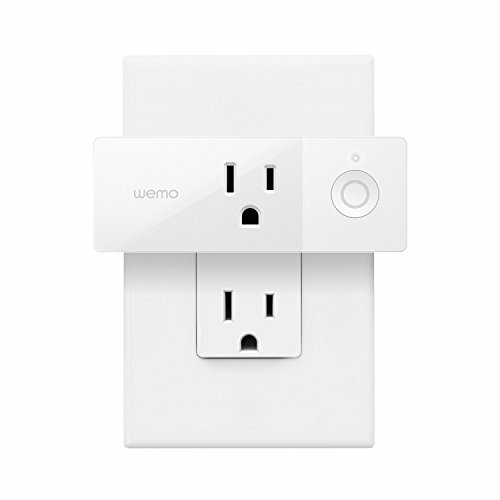 Then, devices like the Awair and Foobot can be configured with an IFTTT applet to switch that plug on in certain circumstances - such as when your VOC score or humidity reaches a certain level. Motorized window blinds from the likes of Lutron and Somfy can also be brought into play, so when the temperature of one room reaches a certain level your blinds will automatically close to keep the sun out, or open to let the warmth in. Taking this a step further, later this year the Velux Active system will be available. 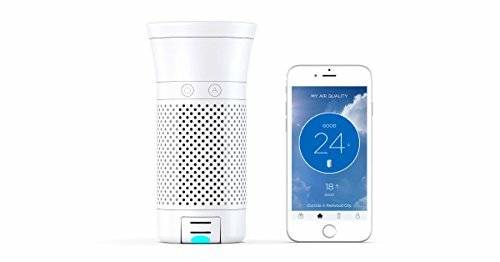 This works with Netatmo sensors and Apple HomeKit to automatically open and close your windows - such as when the temperature and humidity rises, when steam is detected, or when air quality falls. We understand that fitting motorized blinds and windows will be beyond the budgets of many readers, but improving your home air quality can begin with nothing more than a smart plug set to switch on an air purifier twice a day. An air quality monitor and IFTTT can then be added to automate the process, and from there you can add more appliance and more plugs before every room of your home has its air cleaned and circulated whenever it is needed. Check out The GearBrain, our smart home compatibility checker to see the other compatible products that work with Amazon Alexa.